Friday Frolics - What Kind of Cookie Are You? Yes, I guess I'm lucky. I still have you coming by, right? And now for the quiz, find out what cookie are you. Are you a Chocolate Chip Cookie, an Oatmeal Raisin Cookie, a Jam Cookie, a Black and White Cookie, a Smiley Face Cookie or are you like me, a Fortune Cookie. Going to concerts in Malaysia will no longer be the same anymore from now on..
"Males and females are to be segregated during concerts, according to a new set of guidelines drawn up by the Malaysian Islamic Development Department (Jakim). In a section dealing with the organisation of entertainment events, Jakim said programmes should not allow "mixing (percampuran) of males and females in the audience". The guidelines were endorsed during the 107th National Fatwa Committee Meeting held on Feb 10-11 this year. It also specified that concert organisers should not allow mingling (pergaulan bebas) between men and women during practises and rehearsals. 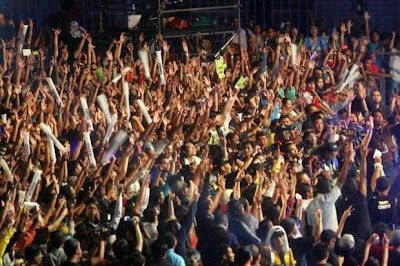 Additional concert guidelines introduced were that there should be no ritualistic elements, signs or symbols contrary to Islamic teachings, either directly or indirectly; acts that are prohibited in Islam or vices, or things that can lead to such situations and circumstances that leads to chaos or disruption of public order. The 2007 edition listed six guidelines for concerts, and there are 11 in the latest set. Also listed were concert guidelines covering songs, video clips, lyrics and performances." The full trailer offers fans a proper glimpse at Ben Affleck's Dark Knight coming face-to-face with Henry Cavill's Man of Steel. Dawn of Justice also stars Amy Adams (Lois Lane), Laurence Fishburne (Perry White), Jeremy Irons (Alfred Pennyworth) and Diane Lane (Martha Kent), and will feature the big-screen debut of Gal Gadot's Wonder Woman and Jason Momoa's Aquaman. Find out what's your introvert strength today. Happy Friday, everyone! Kuala Lumpur is sunny today. Blue skies, white clouds. The share market is up. I made some money today. Woot! Down south in Singapore, Singaporeans are snapping up the Ringgit, emptying money changers stash. Yesterday the exchange rate hit a high of 2.7234, i.e., S$1 = RM 2.7234. Macquarie analyst Somesh Kumar Agarwal has said the weakening of the Ringgit would affect tourist arrivals to Singapore and, in turn, potential revenues from the mass-market segment of Singapore's casinos. Malaysians are among Singapore's top mass-market foreign gamblers, so the weak currency will put a dent in the high- stakes gaming business. But Singapore shoppers to Malaysia are not complaining despite Malaysia's new 6% goods and services tax kicking in on April 1. With an exchange rate favouring the Singdollar, items like milk powder, cooking oil and diapers still cost about the same. Good for you if you are making Sing dollars and spending it across the Causeway in Johore. You are a very thoughtful person, and you consider all your options carefully before acting. You do your best to minimize harm in this world with the things that you do, and this includes harm to yourself. You may live a fairly normal life, but that's by choice. If people only knew the options you've weighed. You sometimes overthink things, and for you that's part of the fun. It feels good to pour over every detail. 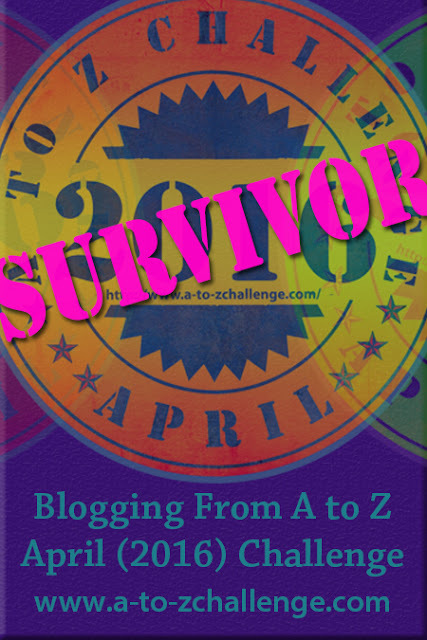 Check out More Fun, Free Quizzes! Sweet! It's Friday again. Time to ditch the hustle and bustle of the week and take that well-deserved weekend wind-down. This week's quiz is an easy one - no thinking needed. The Comfort Test will reveal what you find most comforting if you don't already know that about yourself. Take the quiz to find out. What's hot news in KL? The political scene..
And GST. Got charged 10% service charge at Nandos last night, plus the 6% GST, of course. Maybe I'll add this onto the list on the CheckGST website which some nice lady has set up. You don't mind being cold, but the best part of a chilly day is warming up. You love to be covered in warmth, whether it's from cuddling, blankets, a roaring fire, or a warm drink. You are naturally a warm-hearted person, and you live your life with compassion. You are very sensitive. You depend on your self care rituals and favorite comforts to keep you sane. You are good at winding down. Last Week's: Can You Keep Your Emotions In Check? 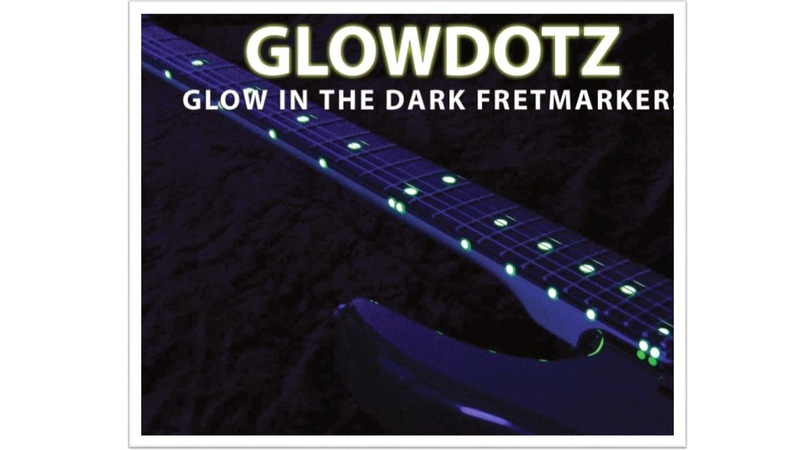 Actually, these glow in the dark marker dot stickers are more for guitars, basses, violins, and all other stringed instruments - universal fit. 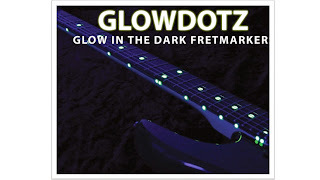 These are Peel and stick GlowDotz over existing guitar fret board markers or add markers on fretless and custom instruments and would definitely provide a "Wow" effect when the lights go out. If you have trouble seeing your side dots these glow dots would be just the aid you need. Friday Frolics - Can You Keep Your Emotions in Check? Ahh, sweet, it's Friday again and yet another fun round of Friday frolicking. This week's Personality quiz is about emotions. Just answer a few easy questions to find out how emotional you are and whether you are someone who can keep your emotions in check. Last quiz: How Weird Are You? 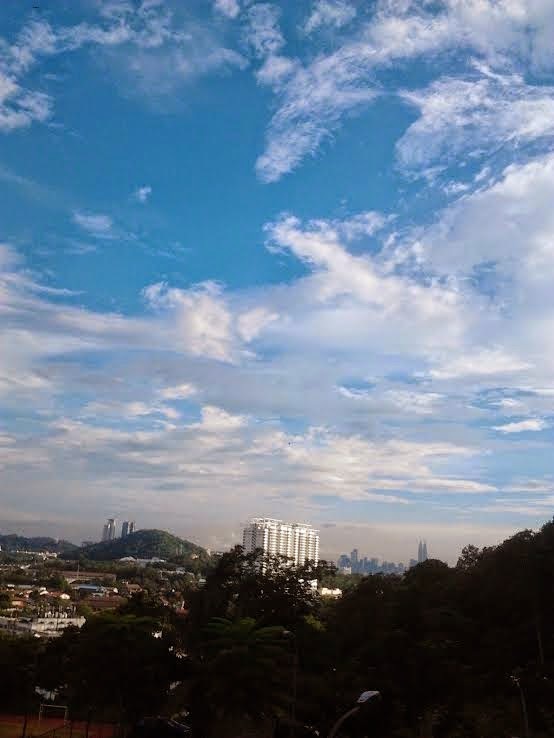 Noticed how clear the city looks after a short shower but sorry the image doesn't do justice. But hope the playful clouds make up for it. You, have a lovely evening or a lovely day ahead whichever is the case. I was caught in a traffic jam last night near a Petronas petrol station where the queue started at the station. 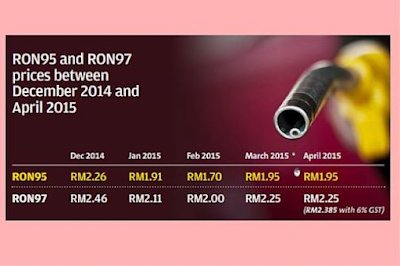 Motorists were queuing up to fill up their tanks expecting a price hike after midnight. But it did not happen. 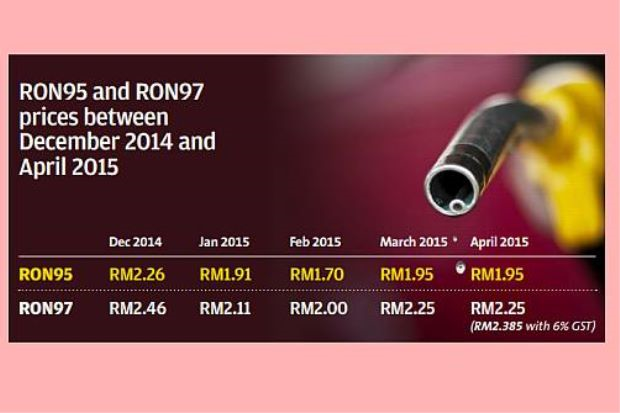 Well, not a bad April Fool's Day..
Retail prices for RON 95, RON 97 and diesel remain unchanged. RON 97, however, comes with the 6% Goods and Services Tax, whose implementation begins today in the country. The Star reported that motorists had earlier jammed petrol stations around the country, with some complaining that they had to queue for very long. This is usually the case just before an impending petrol price hike. Do you join in the fun?